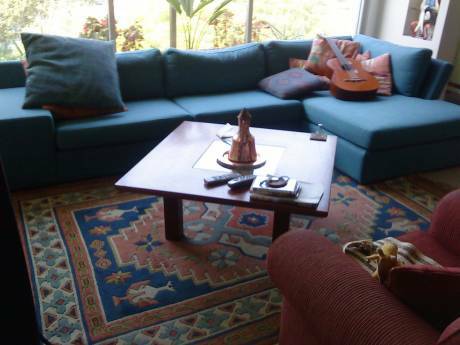 A large, beautiful, fully furnished central flat, in Tel-Aviv. 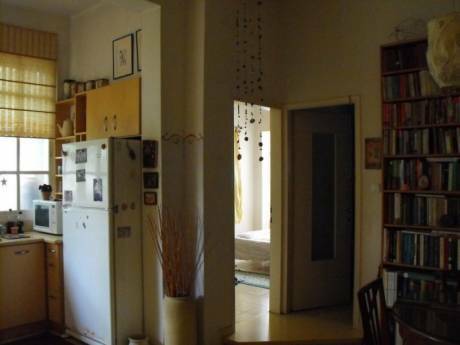 The flat is about 100 sq m large, has fully equipped kitchen together with a large living room with very high ceilings (5m), three bedrooms (one set as a study), two bathrooms and two nice garden terraces (one in the front and another, private and secluded, in the back). It is airy and flooded with light, as it has large windows and very high ceilings (about 5 m). There is a central (very quiet) air conditioning with a separate opening to each room, a washer/dryer, DVD player, Hi-Fi stereo, dishwasher, internet etc. The house is on the first floor with elevator and has also a parking spot. We would like to exchange with someone very considerate, responsible and mindful, ideally a couple or a small family. The flat is available from 1 July to 30 August. We are a couple with 4.5 years old twins. I (Marius) am a University lecturer in psychology, and my wife (Iris) is a nutritionist. Until 2 years ago we lived in London (Belsize Park) and we love the area and would like to spend the summer there. The flat is in a quiet street in Kerem Hateymanim. 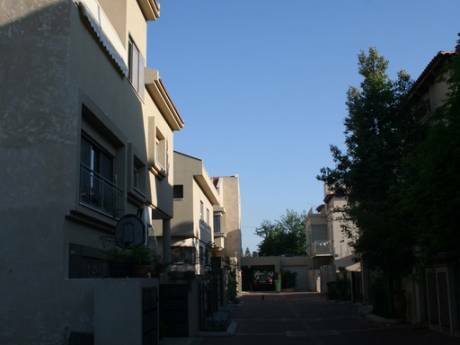 2 minutes from the famous Shenkin Street with the many shops and restaurants, the Hacarmel market and 5 min from the beach (near Banana beach).